Whether smoke and soot come from your fireplace or smoking indoors, the gradual darkening of walls can be hard to notice. Smoke and soot can find there way onto your walls, ceilings, paintings, and even furniture. 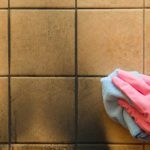 As a restoration company, we offer smoke and soot removal and wanted to write a blog on how we perform smoke and soot restoration. Soot is an oily substance derived from the settling of smoke. Due to its oily nature, it can be smeared across surfaces creating dark stains and spots. Also, since soot is so light, it doesn’t take much to spread the soot across surfaces. Below are the steps we take when we begin a soot and smoke restoration! Step 1– Ventilation: Before we begin cleaning soot and smoke stains, we will open the doors and windows of the effect rooms. Step 2– Vacuuming: Using specialized attachments, we vacuum the walls and furniture to remove any loose soot. We also keep the vacuum attachment a few inches from the surface to eliminate the chance of smearing the soot across the surface furthering the stain. Step 3– Sponge: After a thorough vacuuming of the walls, we utilize a specialized dry-chemical sponge to go over the entire surface area of the walls. These sponges are made of vulcanized natural rubber and are completely non-toxic and safe. Step 4– White Vinegar & Water: The sponges in step 3 tend to get most of the soot stains of the wall but this step provides an even, clean finish across the entire surface of the wall. 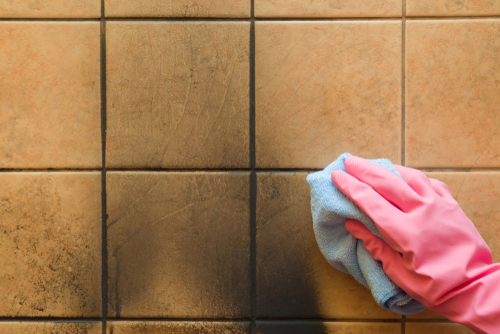 Taking warm water, white vinegar, and specific essential oils, we use multiple different specialized sponges to remove the more embedded soot and smoke damage that are on your walls. The steps laid out in this blog are the basis of our smoke and soot restoration services, but we tailor each restoration to that jobs specific needs. As mentioned earlier, in addition to plaster walls, we also have the capabilities of removing soot from furniture and paintings as well. If you have questions regarding our smoke and soot restoration services or capabilities, give us a call today! 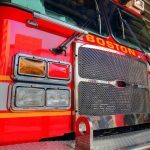 We look forward to hearing from you and continuing to be Boston’s premier smoke and soot restoration service provider!